The Giant is the big speakerphone with big sound! 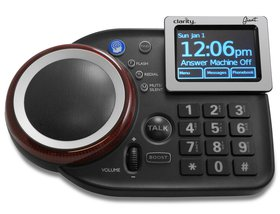 Great for your home office or workshop, the Giant delivers loud, hands-free conversations that fill up the entire room. 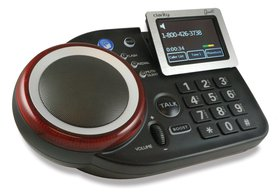 Never miss a call with the large, extra loud ringer that flashes when a call is coming in. Bluetooth connectivity allows you to pair it with your cell phone. The tilting color touchscreen is easy to see and use.